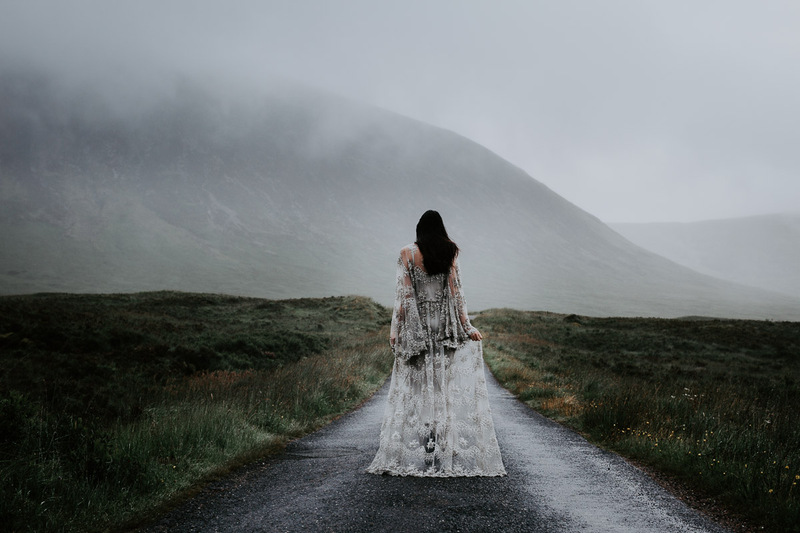 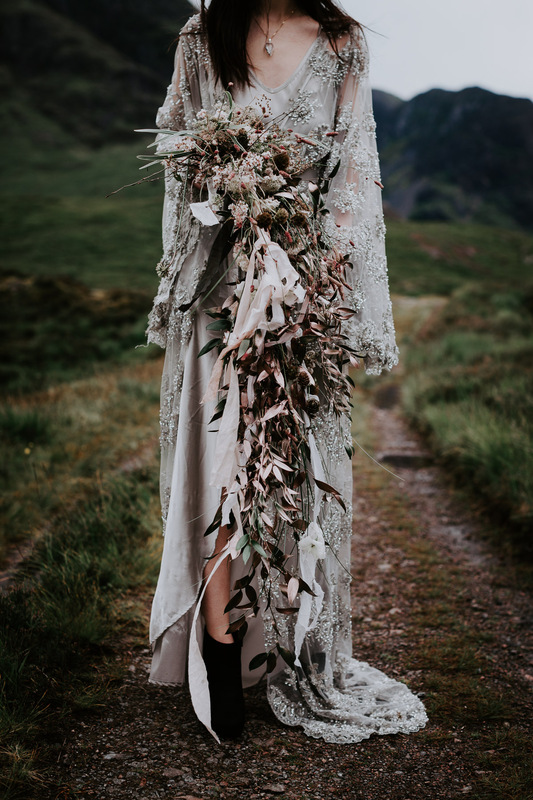 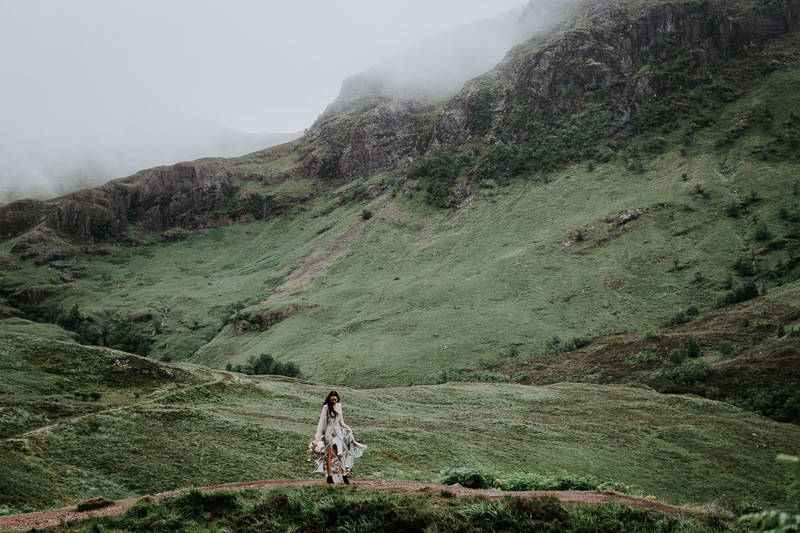 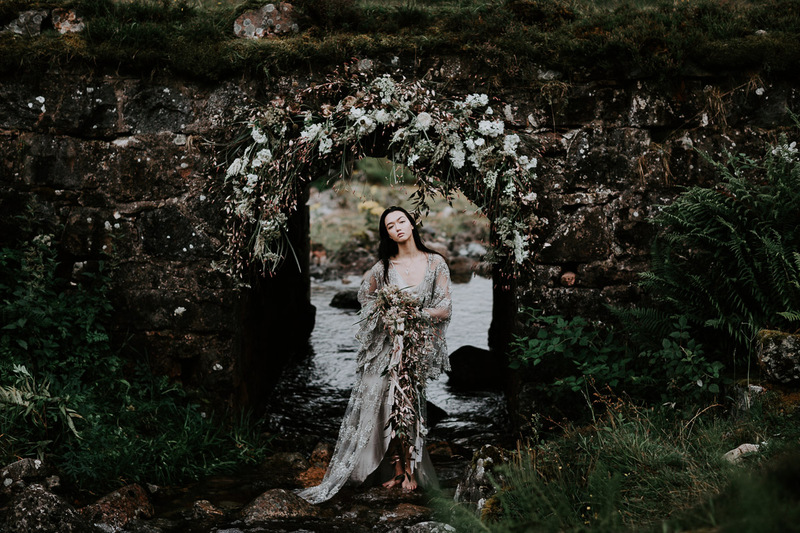 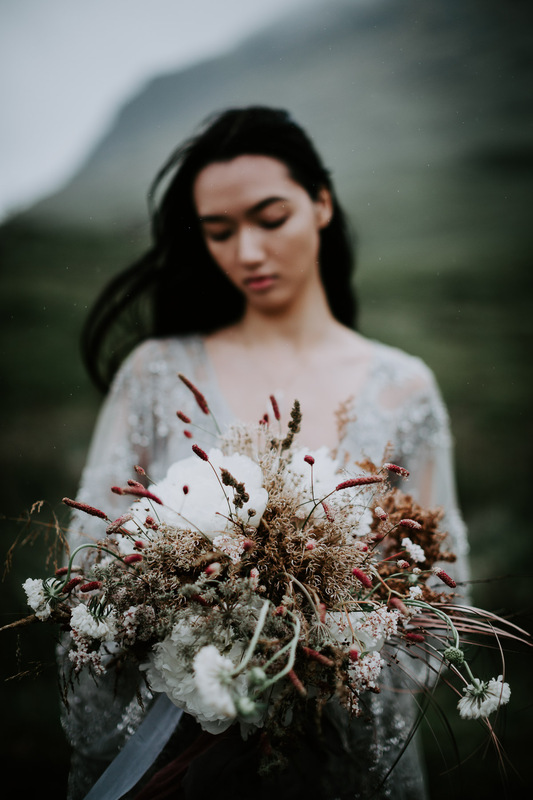 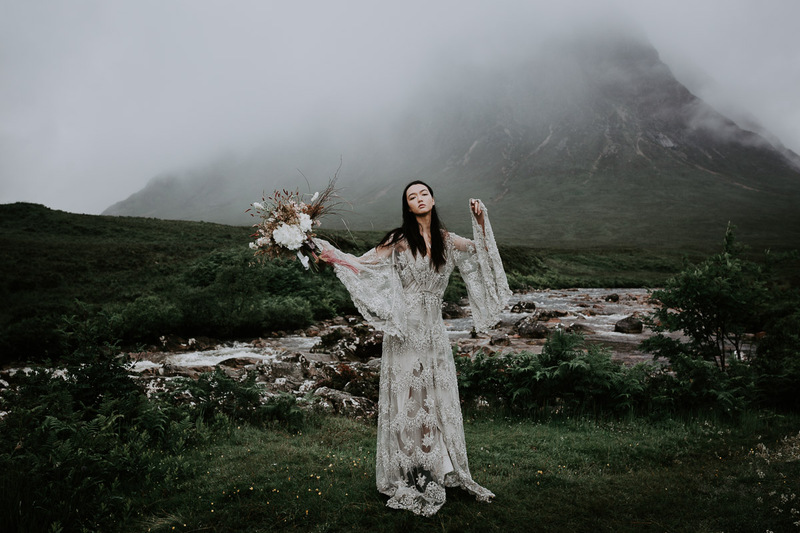 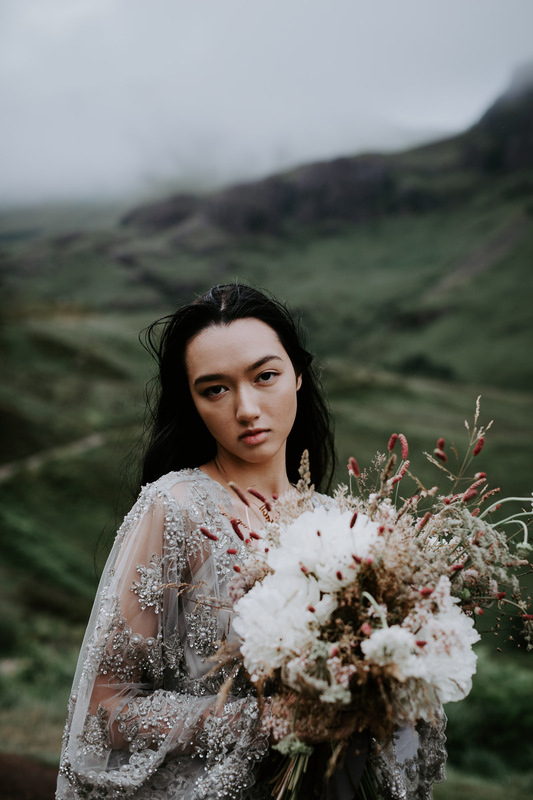 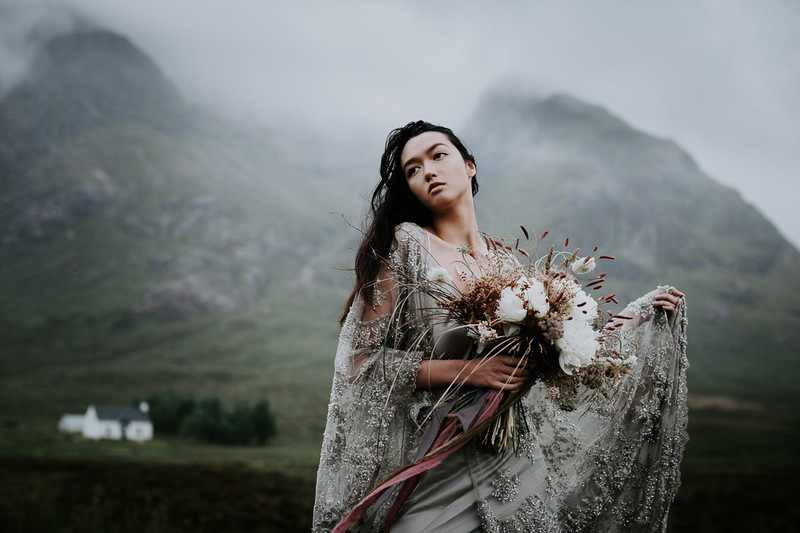 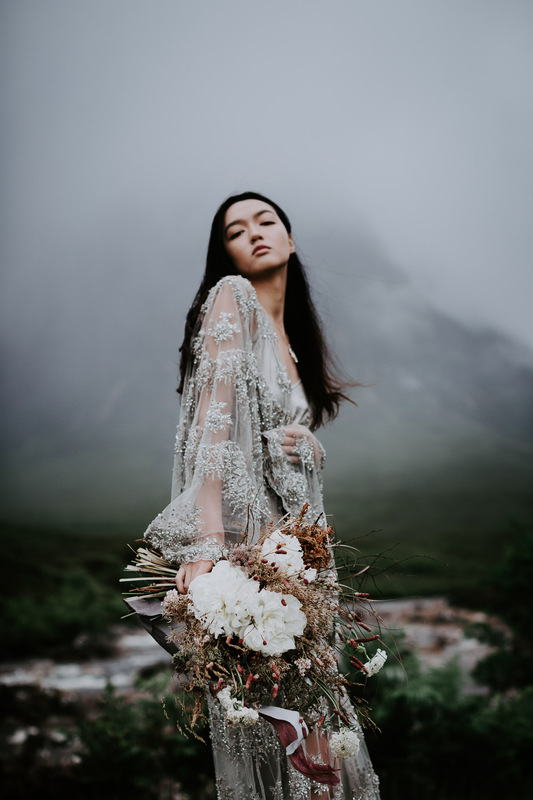 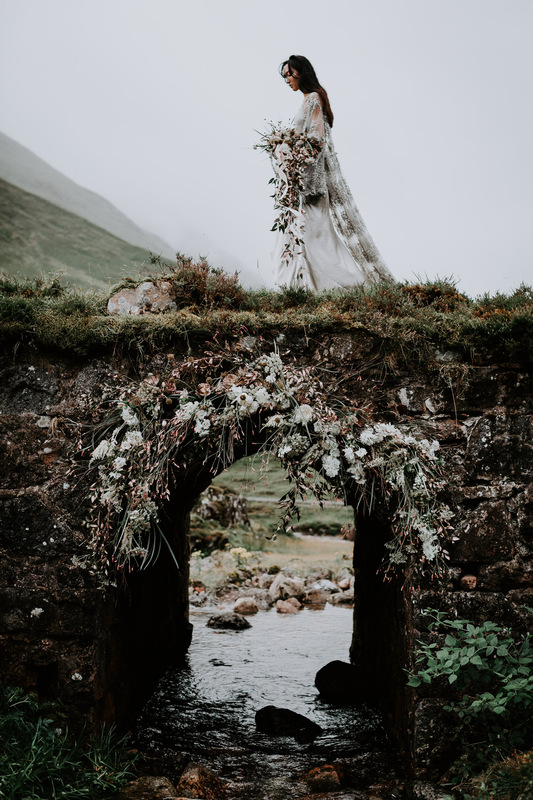 This shoot was born from a common love and connection that Bonnie and I share with our hearts and Scotland – both of us have spent time living here. 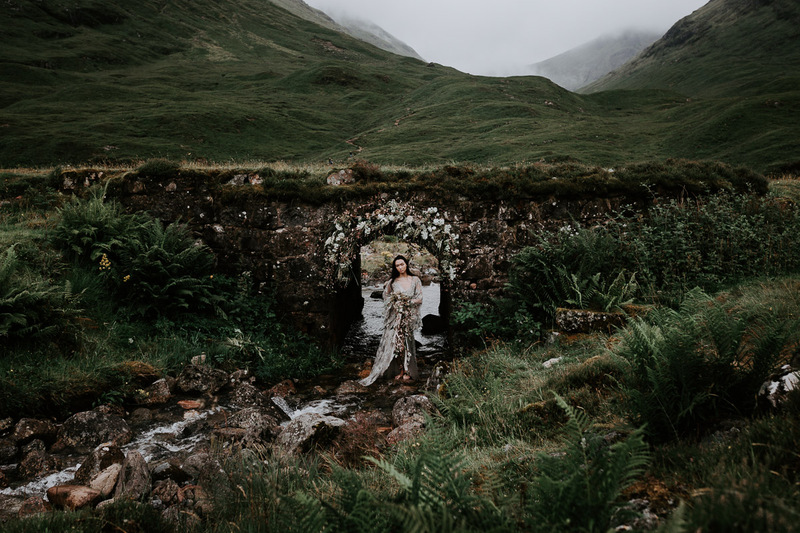 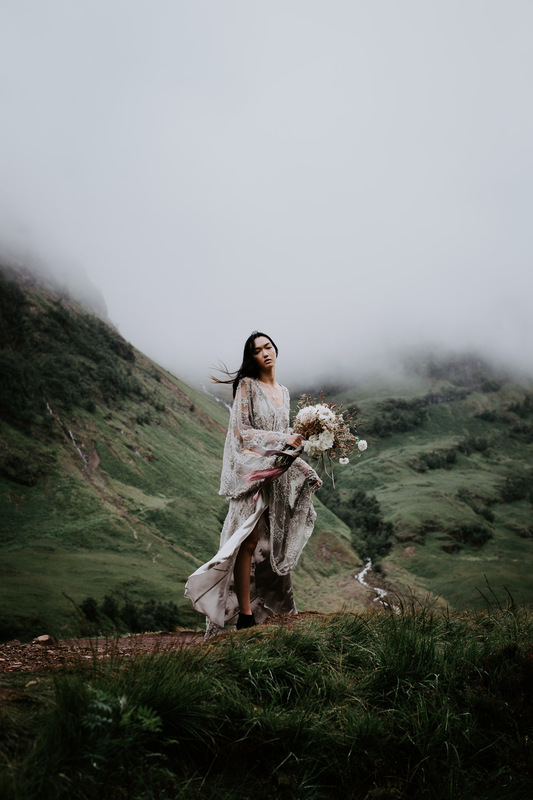 We somehow managed to meet on the other side of The World, order the perfect amount of mist, the right model, dress and I just added flowers! 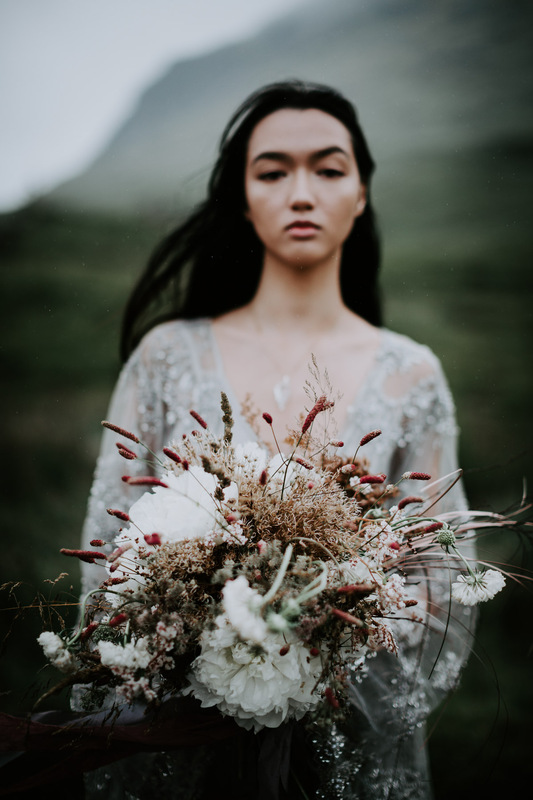 My favourite work to date.